For many, Willie Borsch had to be included among NHRA's 50 greatest drivers. Anyone who drove a 94-inch-wheelbase AA/FA one-handed for 10 years and could get Don Garlits to stop work on his Top Fueler to watch him run deserves to be on the list. Dubbed "Wild Willie" because he found it more comfortable to drive his and partner Al Marcellus' Winged Express with his left hand outstretched on the car's body, Borsch was one of the original AA/FA drivers. The first of two Winged Express cars -- built in 1960 out of inch-and-a-half-diameter, .049-inch exhaust pipe and raced for 10 years -- was Borsch's claim to fame. AA/FA's were a Southern California-born phenomenon, and that is where Borsch and Marcellus earned fame. In 1968, 1970, and 1971, the two match raced nationally with several other big-name AA/FA drivers of the era. According to Marcellus, at the 1968 Winternationals, Borsch qualified on the bump in the 32-car Top Fuel field with an AA/FA record 7.29 e.t., but the other Top Fuel drivers didn't want to run next to Borsch's unpredictable machine, and Garlits replaced him in the field. In the first round of Super Eliminator, Borsch proved the other drivers right when he made a guardrail to centerline tire-spinning losing run that was captured on film by Bob McClurg and became one of the most famous drag racing photos of all time. Borsch wasn't trying to show off with his one-handed style -- the seat was too big for his 6-foot-1, 220-pound frame so he held on to the body to keep from sliding around in the car. "How many people drive their passenger car with one hand?" Borsch once asked. "It was sort of like that." Borsch, who died in October 1991 at the age of 61, was able to use just one hand on the steering wheel because for most of his adult life he worked as a tile setter carrying 80 pound buckets of mud in each hand. Both Winged Express cars were built with a lot of ground clearance as befit the style of the 1960s when unprepared tracks and harder slicks meant that weight transfer under acceleration was the best aid to traction. Of course, a high center of gravity only exacerbated the problem of keeping a 94-inch-wheelbase car under control, but Borsch remained up to the task over the years despite a steady drop in e.t.s. He and Marcellus won the AA/FA class at the 1967 and 1968 Winternationals, and Borsch ran a then-best 7.11 at the 1970 U.S. Nationals with the second Winged Express car. The Winged Express derived its name from the huge wing that Marcellus designed and adapted to the first car in 1963 -- one of the first wings in drag racing. Marcellus, who at the time was an inspector at the U.S. Electrical Motors plant in Los Angeles and later a quality inspector at Hughes Helicopter, researched wing design at the library. 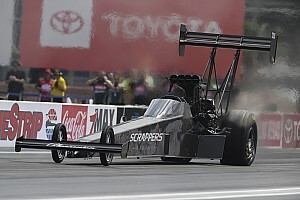 "We tried a wing over the motor at first and that didn't work, so we built the big one," Marcellus explained. "It was spring-loaded. The only chrome on the car was the spring tube at the back of the wing. The wing stayed high until the top end when the wind would flatten it out and plant the slicks." The first Winged Express was destroyed in a crash while match racing in Michigan in 1970, and a new Logghe-built 100-inch-wheelbase altered was quickly purchased and made into the second Winged Express. The design of the second Winged Express benefited from the chassis knowledge gained in the 10 years since the first one was built. Borsch was not only able to keep both hands on the wheel, but he also was forced to use the standard three-point triangular roll cage of the era. 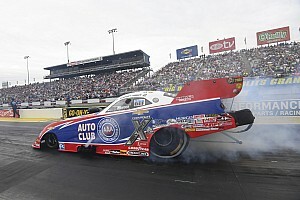 Borsch's career-best performances in the Winged Express were 6.96 seconds and 213 mph. Borsch was selected to the Car Craft All-star Drag Racing Team six straight years beginning in 1967, and he was inducted into the International Drag Racing Hall of Fame in Ocala, Fla., in 1992. Because AA/FA's weren't a recognized NHRA class until 1967, Borsch's name won't be found on a national event winner's list. Instead, Borsch gained fame racing and winning for years at the many open AA/FA shows at Southern California tracks. 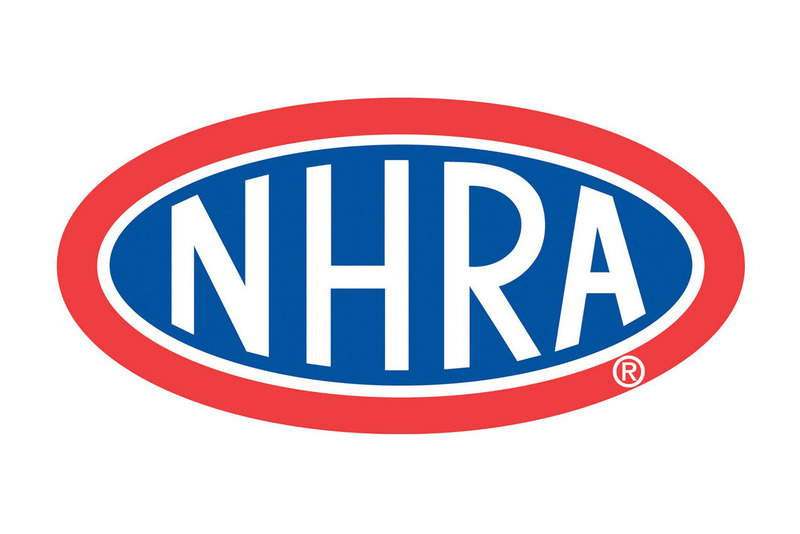 NHRA's Top 50 Drivers will be unveiled on NHRA.com and through the pages of National DRAGSTER, in reverse order throughout the 2001 season, with a schedule leading up to the naming of the top driver at the Automobile Club of Southern California NHRA Finals at Pomona Raceway on Nov. 11.